This fresh fruit basket hamper makes a thoughtful get well or convalescent gift. Also ideal for a range of occasions from birthdays, anniversaries and new arrivals. Beautifully packed to order, we only use carefully selected freshest seasonal fruit. Our popular fruit basket hamper is always well received. It makes a thoughtful ‘get well’ gift and is also ideal for a range of occasions from birthdays, anniversaries and new arrivals. Beautifully packed to order, we only use carefully selected freshest seasonal fruit. Beautifully packed to order, we only use carefully selected freshest seasonal fruit. 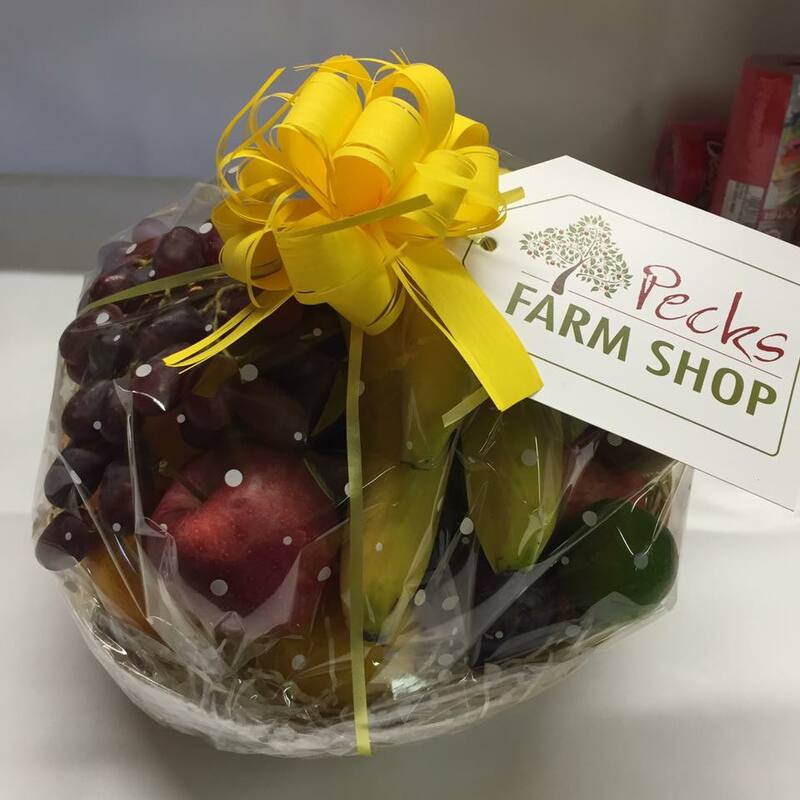 Give somebody the special thrill of receiving a beautifully presented Pecks fresh, fruit basket hamper. We also offer a popular bespoke hamper service for those looking for something a little different or want to create a more meaningful gift for a loved one. You specify what you would like your fruit basket hamper to contain from our extensive range of quality food products and what wicker basket you’d like used. This unique service gives you total flexibility to create your own customised gift hamper. We can either deliver on your behalf to Mainland UK, see delivery information, or you can collect from the shop. In addition, we include an attractive handwritten greeting tag to accompany this hamper. When ordering please you can specify a delivery date. If you do not specify a date we will deliver in 2 working days. If you wish to deliver hampers to multiple addresses, please do call us to process your order. To buy this fruit gift hamper either call the office on 01525 210 281 or complete this form below and we will be in touch.